Absolute care for your little one! 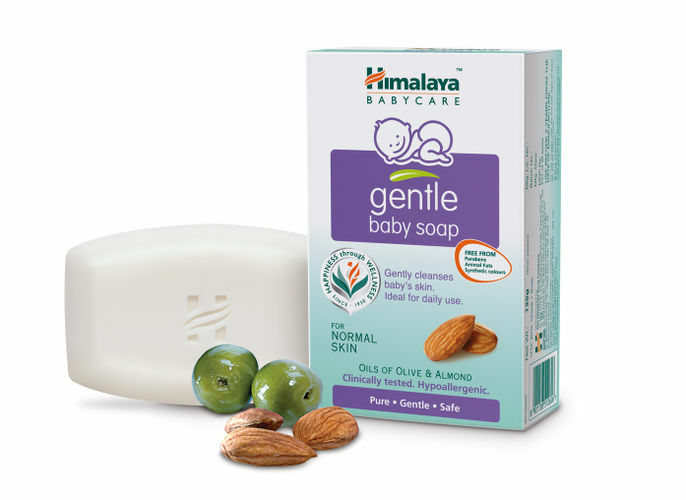 Himalaya's Gentle Baby Soap is formulated to effectively cleanse and condition your baby's skin gently, leaving it soft and hydrated. The natural goodness of Olive oil and Almond Oil, rich in vitamins, are infused into our Gentle Baby Soap to ensure healthy and glowing skin. Ideal for daily use, Gentle Baby Soap is free from artificial colours. Free from Paraben and synthetic colors. Explore the entire range of Bath Time available on Nykaa. Shop more Himalaya products here.You can browse through the complete world of Himalaya Bath Time .Alternatively, you can also find many more products from the Himalaya Baby Care Gentle Baby Soap range.